This comprehensive collection of the major critical views of Chaucer's works over time engages students with the entire critical history. 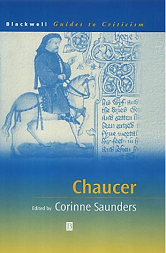 Introduces students to the critical discourse on Chaucer's works from a historical perspective. Encourages students to make links between past and present criticism. Foregrounds those modern approaches that are genuinely productive. Avoids a formulaic approach through lively editorial commentary and judicious selection of texts.